We recently celebrated the 10-year anniversary of the S&P 500 ascending from its low in March 2009. Many investors were hardly aware of the historic event, but the timing is good to consider what, if anything, you should do right now to protect your portfolio. In our opinion, it is always better to conduct contingency planning when the markets are calm. As always it’s best to begin your evaluation with a solid grasp on the current state of affairs. The S&P 500 appreciated more than 300% since hitting its low on March 9, 2009. That’s an increase of approximately $21 trillion according to S&P Dow Jones Indices. Employment and investor sentiment figures improved markedly over the past 10 years, so much so that you may have almost forgotten how nervous and uneasy you felt during the depths of the financial crisis. Interest rates remain low and earnings growth is strong, even if less robust than prior quarters. To state the obvious, nothing lasts forever and this bull market is now the longest in U.S. history. Many experts don’t see a bear market or even a recession this year. However, each passing day brings us closer to the inevitable. More than 22% of total world debt carries a negative yield. That’s up from 13% just three years ago, as reported by Dow Jones Newswires. I won’t pretend to know what the future holds when nearly a fourth of lenders are paying borrowers (you read that correctly – paying, rather than receiving interest) to hold their money. But it’s a bit disconcerting and doesn’t at all align with what you’d expect from a solid growth environment. Acknowledge that bear markets and recessions occur and typically occur regularly. The U.S. has been in a period void of serious economic and market downturns, but don’t be lulled into complacency. It’s not a question of if but when we’ll see the next bear market. Adopt the 20% haircut approach. It’s likely that your portfolio is worth considerably more than it was during the great recession. That’s terrific, but investors who rely on their paper gains can become disappointed, or worse. Whether you’re an individual or institutional investor, it makes sense to plan and budget with the assumption that your portfolio could be worth 20% less at any point in time. How might that alter your plans? What about your spending? The S&P 500 fell more than 50% in the last bear market. That was the worst downturn in decades. Assuming you have a somewhat balanced portfolio, applying the 20% haircut approach to the value of your portfolio seems like a prudent strategy. Don’t sleep on diversification. As shown in the chart above, large U.S. stocks have been the darlings over the past decade. That won’t always be true. I remember back in 2009 when investors were asking if it makes sense to even own U.S. stocks. 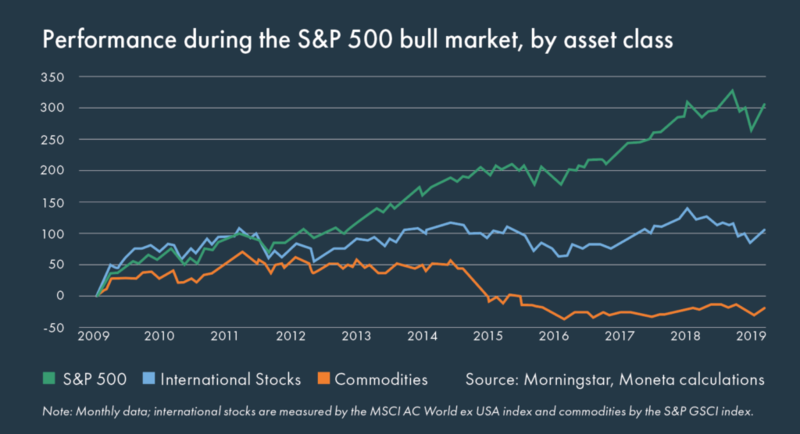 Asset classes and regions come in and out of favor. Domestic stocks won’t always shine and technology companies won’t always lead the pack. 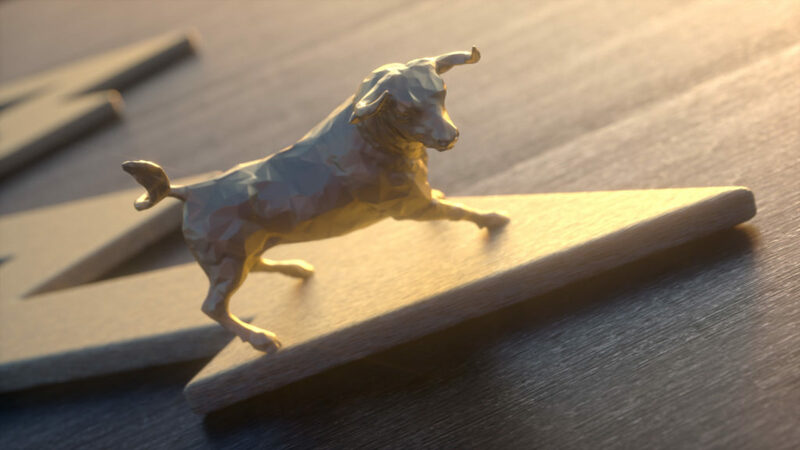 No one knows when the next bear market or recession will occur, but these principles should help you prepare for unavoidable downturns. (1) Bank of America Merrill Lynch data as reported by The Wall Street Journal March 10, 2019.